Nephrotic syndrome refers to a group of renal conditions that are all characterized by damage to the podocyte cells within the kidney. 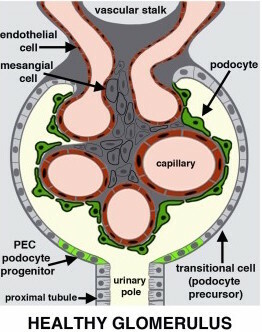 These podocytes are epithelial cells (also referred to as visceral epithelial cells) that rest atop the capillaries of the glomerulus. Many different conditions can cause damage to these cells (either directly or indirectly). These podocyte cells are responsible for maintaining a charge barrier (heparin sulfate between cells repels negatively charged particles). Podocyte damage, or the loss of heparin sulfate between these cells (cytokines from immune cells can cause this), results in the loss of this charge barrier. Under these conditions, negatively charged proteins (like albumin) are no longer repelled, and are able to enter the filtrate (and are lost from the blood). 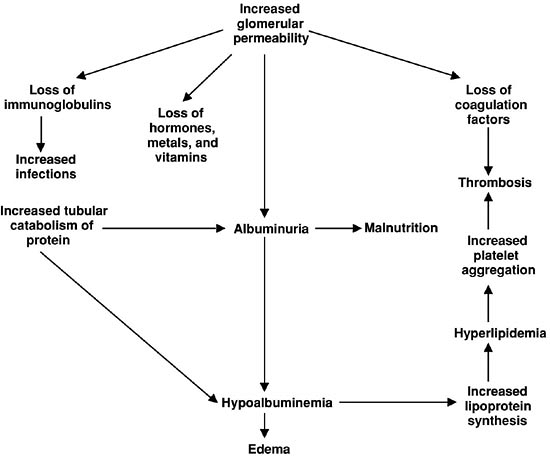 Give that albumin is one of the most important proteins in the serum for maintaining osmotic/oncotic pressure (the pressure that keeps fluid within the vasculature), its loss shifts the balance of forces such that water begins to enter the interstitial tissues and causes edema (which is composed of transudate). 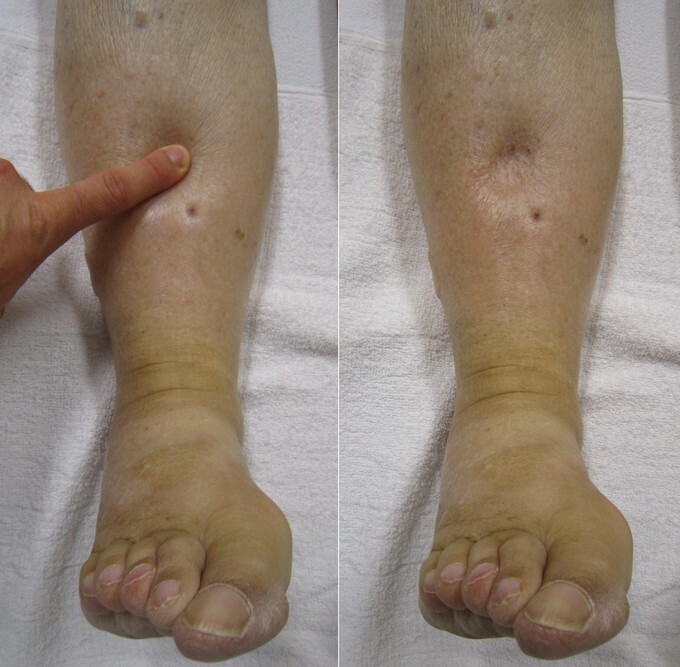 Pitting peripheral edema can be observed on physical exam. 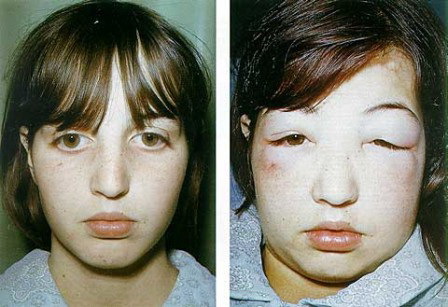 Periorbital edema can also be observed on physical exam. 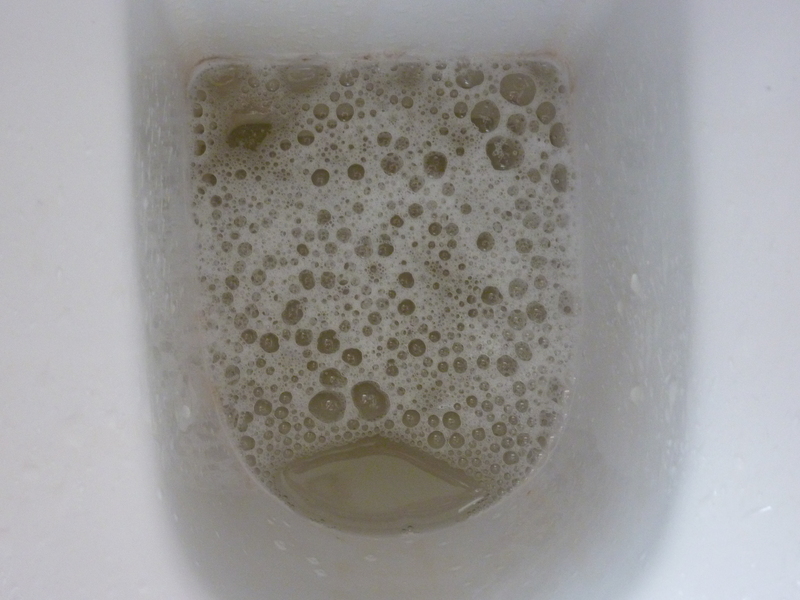 Foamy urine: persistent foamy urine (not caused by high-speed of urination) can be the mark of proteinuria (a classic sign of nephrotic syndrome). Hyperlipidemia total cholesterol may be > 386 mg/dL * as albumin is lost, the liver compensates by increasing its synthesis of albumin. A collateral by-product of this is to also increase the production of apolipoproteins (that transport cholesterol/fats in the body) which ultimately results in hyperlipidemia/hypercholesterolemia in the blood. 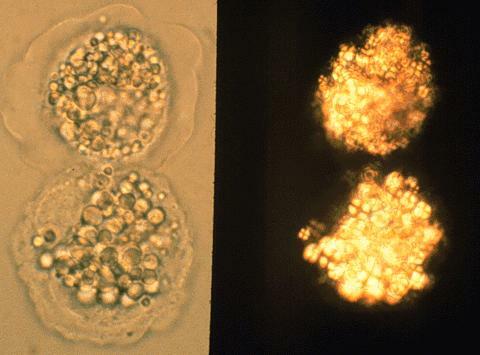 Fatty casts/bodies in urine: while not diagnostic, analysis of the urine can also reveal the presence of fatty casts or bodies (these are caused by the loss of cholesterol in the urine). Treatment for nephrotic syndrome address the general symptoms of the condition: tailoring treatments to the underlying cause is very important for the management of the disease. Restrict salt intake: this will prevent further fluid re-absorption by the kidney’s, and essentially keep the edema from getting worse. 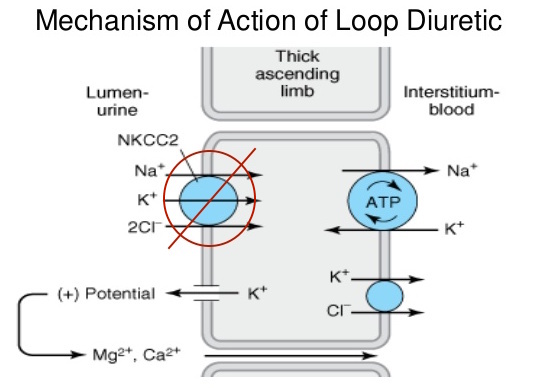 Loop diuretics such as furosemide, bumetanide, torsemide. These medications inhibit cotransport system (Na+/K+/2Cl−) of the thick ascending limb of loop of Henle. This results in the decreased ability of the kidney to create a hypertonic medulla, and also impairs the ability of the body to concentrate urine. This helps the body lose water through the urine, addressing the patient’s edema to a certain extent. ACE inhibitors: these inhibitors of angiotensin converting enzyme will control hypertension in patients, ultimately reducing the amount of protein that is lost by the kidneys. This will depend on the underlying cause of nephrotic syndrome. Thromboembolism: this conditions is associated with a hypercoagulable state because antithrombin III (which normally antagonizes coagulation) is lost in the urine. Infection: immunoglobulins are lost in the urine AND the soft tissue of the body is compromised by edema. DIC: this widespread activation of clotting factors can be caused by nephrotic syndrome.